Refer to the article, Troubleshooting Checklist | Zebra Printer to take the necessary steps. Why do I want to connect to Wi-Fi? If possible, connect to a private Wi-Fi network when printing labels. Bluetooth is not as reliable and the connection will go in and out. Wi-Fi is secure and will stay connected. Why does my printer say it is connected but it's not printing? The printer must be listed under Configured Printers to be able to print. If it is listed under Printers Not Yet Configured, give it a description and then press Save. This requires resetting the settings on the Zebra Printer because it is not communicating properly to the device. Refer to the Zebra Printer Resets article. The iPad must be connected to a private network or a password protected network this is the only compatible Network with the Zebra Printer. Refer to the FAQ article. Ensure there is no Bluetooth interference when connecting, refer to the Bluetooth Troubleshooting article. Your printer is most likely not connected to Wi-Fi, it is connected to Bluetooth, this is prone to disconnection. To fix this, continue Printer Setup or refer to the Troubleshooting Checklist article. Several lights on my printer are red, what do I do? Complete the resets stated in these articles until the far left diamond light is green. There are several possibilities for Bluetooth interference, follow the steps in the Bluetooth Troubleshooting article. Ensure the printer is the correct model found on the bottom of the printer. It needs to match this, ZD41022 -D01W01EZ. If it does not match, the correct printer will need to be purchased through the Shopping Cart. How do I connect multiple iPads to my printer? Please see the article Connect Additional iPads to a Zebra Printer. How do I install a Zebra Printer Shelf on the wall? Please see the article Install a Zebra Printer Shelf. Adjust the label settings steps are found in the article Label Sizes & Settings and then realign the printer by following the steps in the Calibrating Labels | Zebra Printer article. This requires the sensor to be realigned and the printer calibrated. Open the printer and ensure the yellow sensor that slides is pointing at the corresponding arrow on the grey plastic molding. Once aligned, close the printer, and then un-pause it. Hold down the Pause and Cancel button for 7 seconds, some labels will push out. Refer to the article, Calibrating Labels to a view video and screenshots. This can happen when the labels size is not assigned correctly. On the iPad go to Labels then select on the small printer icon. Click and drag the printer to the correct label size, refer to the article, Managing Multiple Zebra Printers | Printer Priority to learn more. As a last resort, if the message persists, the app will need to be deleted and reinstalled to erase the message and to continue to print. Before deleting the app it must say Synced Just Now at the top to ensure all data is saved. I have just purchased a Zebra printer to use with my Jolt account. How do I set it up? Congratulations! The steps to connecting the printer can be found in the Zebra Printer Setup article. This article will direct you to the correct setup process based on the iPad Generation. I already own a label printer. Will it work with Jolt? Jolt currently only supports two label printers. These printers can be purchased from the Shopping Cart found on the Jolt Web Portal. The TransAct Accudate XL Label Printer. What type of labels do I need to use for the Zebra ZD410? The ZD410 uses Direct-Thermal Labels and does not require ink, instead the labels are reactive to heat. We recommend ordering labels from our supplies page to ensure you receive full support and the best pricing. Where can I purchase additional labels once mine have run out? We highly recommend purchasing labels from the Jolt Shopping Cart. We carry competitively priced, high quality labels, and provide full support for purchases made through Jolt. I am having trouble getting my printer to work properly. What should I do? Please take a look at our in-depth Printer Troubleshooting Guide, this covers the entire process for factory resetting the printer and reconnecting properly. If you do get stuck, please take note of the step and what happened and then reach out to Jolt Support for additional assistance. My printer says that it is connected in the Jolt app, however it is not printing anything. What is going on? Ensure that the correct Label Sizes & Settings have been set. The Zebra Printer requires Direct-Thermal labels. If you are not using the correct type of labels, your machine will not print. Check the Pause light on the printer to make sure it is not on and un-pause it if it is. The Wi-Fi at my location is very weak. Do I have to use a Wi-Fi connection with my printer? We strongly recommend using the Wi-Fi as the main connection. The printer is capable of connecting to Jolt via Bluetooth and Wi-Fi. However, bluetooth does not provide a strong or reliable connection. In certain situations Bluetooth is the only connection option. Remember to keep the iPad within a close proximity to the printer and that it will likely need to be reconnected consistently. If an Android device is available, hardwiring the printer is possible. However, this requires using the Beta App which does not have full functionality. Refer to the article, Hardwire Zebra Printer | Android Devices Only to learn more about this. The Jolt app says the printer is out of labels, but the printer has a whole roll in it. What do I do? This is generally due to the printer’s sensor being off. Open the printer and ensure the yellow sensor that slides is pointing at the corresponding arrow on the grey plastic molding. My labels have streaks going across the labels. How do I fix that? This issue is most likely a hardware issue with the printer. This will require a repair or replacement that is submitted through Zebra. Hardware purchased from Jolt comes with a one year manufacturer warranty. If you within warranty Zebra will repair or replace the printer. If you are outside of the warranty then you will need to purchase a new printer, or submit a repair order to Zebra for a repair quote. 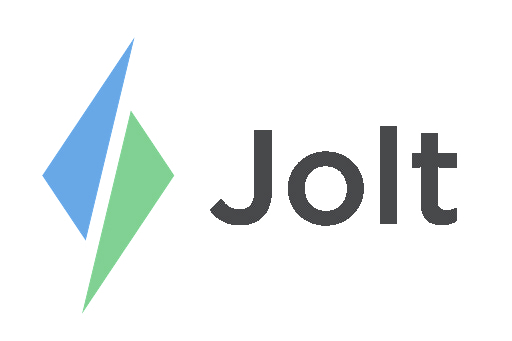 To find additional information on Jolt’s Warranty policy please refer the article Jolt Hardware Warranty. My printer is broken. What are my options for repair or replacement? Hardware purchased from Jolt comes with a one year manufacturer warranty. If you have gone through the Troubleshooting Guides and are still experiencing issues, feel free to reach out to Support via call, chat, or email with any other questions you might have. We would be glad to help you in any way that we can, Contact Us!